New statistics have revealed that one third of Irish local authority home loans are in arrears, with one in four households behind by six months or more. The figures from Kevin Humphreys, Labour TD for the constituency of Dublin South East, reveal an increasing amount of evictions by local authorities. From the 20,277 homes in arrears, 6,275 loans are over 90 days in arrears, 1,307 are in arrears from 91-180 days, and 4,968 are in arrears by over 180 days. Dublin City Council has the highest amount of households behind on payments at 917. 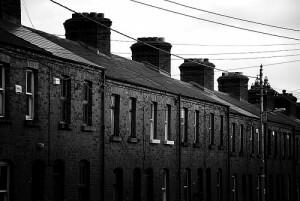 Kildare has 386 homes in arrears, and Cork 362. Kevin Humphreys obtained the statistics via a parliamentary question, described the statistics as “very concerning”, adding there was clearly a “great stress” on people with local authority mortgages and people on shared ownerships. According to the Environment Minister Phil Hogan, local authorities “have long provided housing loans to less affluent members of society”. Hogan also added that the government have provided guidance to councils based upon the Central Bank’s code of conduct in dealing with households in arrears. The guidelines provide a range of options such as mortgage to rent – where a borrower rents the house instead of making mortgage payments. If you are behind with your mortgage you should always speak to your creditor as soon as possible. You can also seek free advice from MABS.